G is for Gifts. Not just any gifts, but Simple Gifts. The lyrics are here, although I use a slightly different version in the book. Will Leila and Carene’s new feelings for each other blossom into something wonderful? Or will Leila lose not just a friend, but also her potential soul mate? Offer is good through the end of the month! If you haven’t yet read Kyung-Sook Shin’s international bestseller, Please Look After Mom, you’ve missed out. Published as Omma rul Put’akhae in Korea in 2008 and translated into English by Chi-Young Kim and re-published in 2011, Please Look After Mom is an unforgettable story of a family coming to terms with the loss of its mother. So-nyo Park, an elderly woman in poor health, gets lost in a crowded train station while going to visit her adult children and grandchildren with her husband. The novel is both an intimate portrait of one family’s tragedy and a metaphor for losing what was once dear. So-nyo is both literal mother and representation of a past that can never return. Stunning, moving, and well worth the read. You require a happily-ever-after ending and all plot points resolved in a nice, tidy bow. You are intolerant of ambiguity and multiple possible interpretations of a story. You need immediate answers to questions posed by the story. You are unwilling to read a story told in the second person. You expect all stories to follow a typical pattern. You are unable to enjoy a book that is unfamiliar to you. You dislike any fantastical elements in a story. Still with us? Great! If so, read on. I will give a copy of this book to one random commenter on this review*. 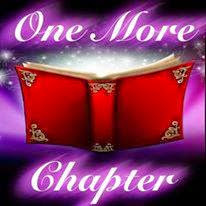 No hidden agenda here, just a deep love for the book and an eagerness to introduce it to new fans. Again, you will not enjoy this book if the above characteristics apply to you. Consider yourself warned! First, the drawbacks. A few of the scenes were over the top, especially the one about the orphanage. I won’t give specifics to avoid giving spoilers, but the plot point fit too perfectly into a tear-jerker formula. For a book that brought me to tears with its understated prose elsewhere, the orphanage scene went too far. Also, some of the husband’s scenes became repetitive. He’s a jerk who took his wife for granted, and Shin establishes that early on. The narrative about the oldest son is the only section written in third person. While this may have been an effort to show emotional distance, it seemed inconsistency rather than an artistic choice. In contrast, when the mother uses “I” for her narrative, it’s a clear and effective choice to change the tone of the story. Other than these few points, Please Look After Mom is one of the best books I’ve read in a long time. I became so involved in the story that I searched book reviews to find out what happened to the mother. One of the reviews warned against reading spoilers and said the book should be savored slowly, learning details as the pages reveal them. I would give the same advice to anyone picking up this book. Do not read spoilers, or you will ruin the book for yourself. My only caveat would be not to expect a tidy, happy ending. As long as you’re willing to go where Shin leads you, this book will be well worth the read. Why do I love this book so much? It’s difficult to explain without spoiling the plot, but there are two scenes that stand out. In one, So-nyo apologizes to her daughter for expressing dismay at the birth of her daughter’s third child. Through So-nyo’s perspective, we understand this dismay as a mother’s love wanting to protect her child from the sacrifices of raising three children. In the other, So-nyo sinks into depression and finds comfort when she accidentally touches another woman’s mink coat. The softness soothes her. Without knowing the enormous cost of furs, she calls her recent college graduate daughter and asks for a mink coat as a gift. With only a small hesitation, the daughter agrees and arranges for a shopping date. When So-nyo’s daughter-in-law’s shock and envy at the new coat make So-nyo realize the cost, her daughter lashes out. Such a tiny scene, but the power ripples throughout the entire book. How many of us have known someone, mother or otherwise, who cared for us without asking anything in return? Even for those raised in abusive or neglectful environments, there is usually at least one person who makes an impact. Please Look After Mom is a life-affirming read about the power of love. *Anastasia Vitsky and Governing Ana have not received any compensation, financial or otherwise, to write this review or offer the giveaway.